Revel in authentic mono sound with this brilliantly designed phono cartridge. Thanks to its high-damping rubber design you can eliminate unnecessary vibration from your music. Audio Technica AT33MONO MC Phono Cartridge is specially designed for mono systems. Thanks to its horizontal coil it only generates electricity in a horizontal manner, which makes this a true mono design. This model ensures a high sound quality as it does not easily pick up unnecessary noises from scratched or damaged vinyl. This makes it far more superior to a stereo cartridge. This design is a higher-end alternative to the AT-Mono3. The model showcases a strong body stabilised by a rigid body set-up. 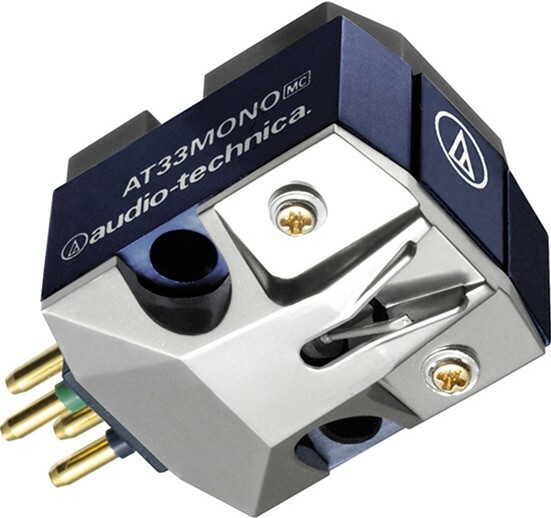 The AT33MONO will not damage your stereo records due to its vertically directed appropriate compliance. You can immerse yourself in your favourite classic mono records of yesteryear with the AT33MONO. The AT33MONO cartridge only generates electrical signal with horizontal movement due to the horizontal configuration of the coil. Hanenite high-damping, anti-vibration rubber gets rid of unwanted vibrations.